Come and join in the fun at Stagecoach Henley! We provide high quality training in singing, dance and drama for children aged 4 - 18 years. We offer classes in Henley on a Saturday morning - check out the times below! EARLY STAGES (4 - 6 years) Saturday 9:30 - 11:00 and 11:15 - 12:45 MAIN SCHOOL (6 - 16 years) Saturday 10:00 - 13:00 For more information about our amazing classes, contact Clare on 01494 533230 or email Henley@stagecoach.co.uk to book your place now! At Stagecoach Nantwich we teach children and teenagers how to sing, dance and act, not only to perform on stage but, more importantly, to perform better in life. 3 hour lessons of dance, singing and drama for ages 4-18, taught by professionals. Dance, singing and drama for ages 4-18, taught by professionals at our school in Salford. Dance, drama and singing lessons for kids from 4 to 18 years in Stoke on Trent. Saturday classes of dance, singing and drama for ages 4 to 18 years old, taught in peer groups by professionals. Fun, confidence-building, educational classes in acting, singing and dance. Stagecoach MK's centres are in Stony Stratford and Woburn Sands and were established in 1997 with the aim of inspiring and enriching young people through the performing arts. We enable a happy, secure and safe environment where every young person can flourish. Skills for the arts...skills for life! Believing in the potential of every child. "Stagecoach has been life changing, I wouldn’t be who I am today without it". Dance, singing and drama for ages 4 to 18, taught by professionals. Drama,Singing and Dance classes on a Saturday during term time for 4-16 yrs.Stretching imagination. Stagecoach Twickenham is a performing Arts school commited to excellence and support for all its students. The students work in a secure and caring atmosphere where they develop confidence in themselves through the three disciplines of singing dance and drama. Main School-3 hours of dance, singing and drama for ages 6-18. Early Stages-90 mins for ages 4-6. Stagecoach in Wakefield caters for students wanting to gain confidence and stage skills in a creative environment. We run dance,drama, music sessions for children aged 4-18 developing their skills in the arts. Over 600 schools in the UK. Weekly classes for 4-16 year olds at weekends and after school. Singing, Dancing and Drama classes in Wimbledon Area of London, SW19 for children ages 4 - 16 years. Drama, Dance and Singing 4-6yrs and 7-18yrs. Three Hours of fun and challenging activity, great tutors, welcome atmosphere. Every Saturday! Drama, Singing and Dance classes all under one roof at Stagecoach Worthing! Covering the areas of Worthing, Shoreham, Lancing, Sompting, Steyning, Pulborough, Arundel and Littlehampton. Building confidence is key in these weekly classes, where children develop valuable social skills through the performing arts. Taught in small groups by professional teachers/performers. StagePro Academy is a prestigious Stage School, Performing Arts and Dance School in Warrington providsing a whole range of classes to students of all ages. Whether you want just a drama class, a street dance class or full performing arts group, then StagePro Academy is the place to be ! Be sure to visit our website www.stageproacademy.co.uk for all the information you require. Starcast is a leading Performing Arts School in Salisbury, providing part time tuition for 4 -16 yr olds in dance, acting and singing. Students are trained by professional teachers who are experts in their discipline. Classes are disciplined, fun and inspiring. Give your child or teenager the chance to shine at Starcast Performing Arts Schools. Professional performing arts classes for children aged 6 - 18 years. Covering all aspects of the performing arts, from drama & dance to writing, screen acting and classical text. All taught by professional, experienced tutors and led by a professional Actor, Director, Agent & Casting Director. Classes are split into two age groups. Starlets : 6 - 11 years. Shooting Stars : 11 - 18 years. And classes are three hours long once a week during term time. Starset Theatre provides performing arts classes for children aged 3-19 in locations in Durham and Boldon, South Tyneside, teaching singing, drama and dance and giving ALL students the chance to appear on-stage in professionally produced shows. Private lessons a also available, as well as music recording services. Please look at our website www.starsettheatre.co.uk and contact us for further information. A new theatre academy based at The Hertford Theatre. Run by Hertfordshire born actress Gemma O'Duffy who has 10 years experience in the west end. Be taught by the best of the best each week at the best facilities in the area. We run courses for children aged 7+ on a Sunday morning from 10.00am-1.00pm. This is a fun filled three hour session of Musical Theatre, singing, dancing and drama. For children who loves performing :) this is the class for you. We also run an audition only advanced course on a Friday evening from 6.15pm-9.45pm for students ages 15+. This course involves main technique classes in all disciplines and master classes with top west end and broadway stars. Please contact us to book your taster session or audition place for the advanced academy. Dance, Music, Singing and Drama for children and teenagers in Twickenham. Step On Stage is an independent performing arts school and award winning youth theatre, who offer a range of classes, workshops, summer schools and performance opportunities for 3 to 21 year olds in Twickenham and Hampton Hill. Adult drama classes in Bolton, classes are 2 hours per week. All ages are taught by professional actors and actresses. We also run adult acting classes in Bolton. Part Time Performing Arts School for 5-19yrs based in Mill Hill North London. Very Reasonable Fees - Combined course in Singing/Dancing/Acting and also agency representation available. Stomp! Squad is an advanced classed trained by Bismark Anobah and is open to all including non Stomp Students - for advanced dancers aged 11-19yrs. Do your children want to be part of the biggest story in town? Then why not join us at Stories and More Academy? Not only will your child make new friends and grow in confidence, each week they will develop and build their creative skills. At Stories and More Academy we pride ourselves on making every child feel welcome. With our expertise and encouragement, we can help them achieve more than they (and you) could ever have imagined. Why is Stories and More Academy different? Summer Arts is back and bigger than ever! Three weeks of fun, performances and evening extras. This action-packed project includes intensive week-long courses, guest artists, and a chance to perform at the end of each week, right on the main stage of the Albany theatre. Young people will have the chance to try their hands at everything from drama to dance, and circus to comedy This year we will be visiting the Albany, and Deptford Lounge in Deptford, Woodpecker Youth Centre in New Cross, TNG in Sydenham, and Bromley and Downham Youth and Community Centre. So, wherever you are in Lewisham, a Summer Arts course is never far away. Supakids is a Part time Performing Arts School in London N17 its unique method of teaching ensures children develop drama skills and grow into confident adults. Weekly classes in Drama, singing, dance for children from 2 years old. Examinations available in all disciplines. ​ ISTD classes in Modern, Tap and Classical Ballet and LAMDA classes in Drama and Musical Theatre. TEATRO is an exciting venture for adults 18+ offering performance training run by professional theatre practitioners. The classes involve two hourly classes in acting, singing and movement. TEATRO is run by a group of dedicated professional artists who feel passionately that mature people still have much to offer but are not catered for in this 4-18 world. Warwickshire Youth Theatre - COMING SOON! We offer motivated beginners, as well as advanced actors and working professionals, a unique, accelerated 3-phase program in the Meisner technique. The Studio is not only a training facility but also a performance lab where actors can perform before the general public in our Actors Equity Approved performance space. We teach children of all ages dancing,singing and theatre throughout Inverness and put on regular shows throughout the local community. Our skilled teachers provide the ideal platform to really help your child excel in life and to build confidence whilst experiancing the joy of being creative. The reward of classes is a confident child who enjoys being creative a enjoys taking part in our performances. Saturday Performing Arts Classes for children in Tenterden, Kent, near Cranbrook and Ashford. Performing Arts Companies 6 - 11yrs, 12 - 15yrs,Dance/ Drama / Musical Theatre.Drama only 14yrs up. The Acting Studio, Inc. – New York, where James Price and John Grabowski are associate directors, is a private acting school and studio of distinction located in the heart of the world-famous New York City theatre district. The Actors Studio is a non-profit organization for professional actors, directors, and playwrights founded in 1947 in New York City by Elia Kazan, Cheryl Crawford, and Robert Lewis. The Actors Theatre Workshop is an award-winning non-profit theatre, community center and educational institution that teaches innovative educational techniques and theatre principles to adults and children from all walks of life. "A degree-granting acting school with locations in each of the two most dynamic centers of theatre and film in the U.S."
The heart of the Barrow Group Acting School, in these studio intensives students learn and practice the Barrow Group Acting Approach. To be clear, these are not beginning acting classes– all students begin with Scene Study 1 as that is the start of the progression of training. An Independent theatre company for young actors aged 5 to 18. Dedicated to the creation of new, exuberant and audacious performance. A place to vent funny, unsettling, inspiring and mythical untold stories and reinvigorate known stories using physical and visual theatre. Dance and Drama Academy in Fleet. We offer dance, drama and singing lessons across the Fleet and Farnborough area in Hampshire. The Lee Strasberg Theatre & Film Institute is the only school in the world that offers training of Lee Strasberg’s Method acting in its pure form. We provide professional high quality training for anyone who loves Dance, Singinng & Acting. The Neighborhood Playhouse School of the Theatre New York offers the serious and committed student something few other acting schools can provide: a unique combination of devotion to a rich, specific tradition and a forward-looking concern for innovation, presented in a two year program and in summer workshops. We hope you find the following pages informative. Each year at NYCDA, we travel and search for the most passionate and promising young actors around the country. It's a lot of work, but truly a labour of love. PQA offers children aged 4-18 Comedy & Drama Classes, Musical Theatre Classes and TV Acting Classes. We run on Saturdays from 10-1 (AM academy) and 2-5 (PM academy). 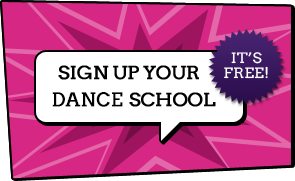 Opportunities include FREE Trinity exams, the chance to join our agency, students' films to be broadcast on the big screen at The Empire Basildon, the chance to perform with Pauline Quirke on a West End stage, plus showcases and outside performances at Hylands House amongst others so book your free taster session now! Since its founding in 1949, the school has trained thousands of actors many of whom have gone on to important theater and film careers. At The Theatre Academy we provide an encouraging performance platform for aspirational and talented children and young adults aged 6-26, immersing them into a professional and disciplined environment and working along side some of the very best performers, directors, vocal coaches and choreographers to develop their performance skills. Many classes covering ages 5 to 18 yrs. Stage/screen skills. Film/TV Agency inc. Entry by audition. Saturdays in : Neston CH64 - NC&YC, Burton Road, CH64 9RE. Theatre Club 10.15am – 12.15pm	Ages 5-7 and 8-11 years The children will take a drama class and a dance/singing class. DramaTots 9.30-10.10am Ages 2½-4 (pre-school) This forty minute class will comprise drama games, action songs and role play. Drama The groups work on improvisation, text appreciation, team building, developing self-confidence, voice skills etc. Drama is an excellent way for children to learn social, communication and literacy skills; to build confidence and to have fun. Singing/Dancing A combination of singing and dancing will be taught giving an insight into musical theatre techniques concentrating on developing voice and physicality. Little Actors Theatre is a Registered Charity offering access for all. Discounts are available for low income families and children on DLA. Professional actors facilitate the classes. Looking for an exciting new extracurricular activity for your nursery or school? Or want to book a magical party for your child’s birthday? Maybe you would like to enrol your child in an after school club or holiday workshop that guarantees to keep them entertained and enthralled from start to finish! Theatrebugs has the answers! Established in 2005 by two LAMDA graduates as a means for children to learn through play, Theatrebugs carefully designs each adventure to ignite your child’s imagination and allow their confidence to bloom! Whether in nurseries, schools, parties or shows; your child will benefit with improved concentration, enriched vocabulary, increased self-confidence and much, much more! But the best part is, they will have so much fun, they won’t even notice they are doing it! Looking forward to meeting you at one of our adventures very soon! Paula O’ Donohue and Kristyanne Stanley. Theatretrain offer professional training in dance singing and drama with regular productions. Free trial for everyone. Fun, friendly classes ideal for building a child's self-esteem and confidence. Theatretrain offer wonderful performing opportunities, in July 2013 all students performed at the 02 arena! We are a part time & weekend Drama School for kids. For over 20 years we've pioneered an exciting approach to stage and theatre school education in the performing arts for young people aged 6-18. We teach our kids how to dance, act and sing in performing arts classes at centres throughout the UK. Creating outstanding opportunities for our pupils to perform on stage in local, regional and famous West End venues. Stage schools bring out the best in students, build confidence, and give aspiring young performers opportunities of a lifetime via our drama classes. To find out why we’re special - call Emma on 01787 280768, visit our website: www.theatretrain.co.uk or email: bury@theatretrain.co.uk email: sudbury@theatretrain.co.uk Other Information BURY ST EDMUNDS - Saturdays - 10am to 1pm County Upper School Beetons Way, Bury St Edmunds IP32 6RF SUDBURY - Saturdays - 2pm to 5pm Ormiston Sudbury Academy Tudor Rd, Sudbury, Suffolk CO10 1NW 6 to 18 year olds - No audition necessary - All abilities welcome. Theatretrain Camden provides Drama classes, Dance classes and Singing classes to young people aged 6-18. Theatretrain is different from other Drama Schools, Dance Schools or Stage Schools as we perform every year in West End Theatres and even the Royal Albert Hall. At Theatretrain we believe in putting the three disciplines together DANCE ACT SING! We Perform! At Theatretrain you will get a Professional experience of Theatre with Professional Teachers at a fantastic price! Performing arts classes are great for building confidence, why choose Theatretrain? Because we are The company that loves to Perform! Theatretrain Performing Arts School in East Cambridge on Saturday afternoons 2pm to 5pm - £18 per week, siblings £9 per week (concessions available, please ask for details). Regular performances at local theatres and at West End theatres including the Royal Albert Hall. Professional teaching in Drama, Dance & Singing for children. Theatretrain Performing Arts School offer dance,singing and drama classes in Rugby. Training in Musical Theatre. Drama Classes Rugby. Dance Act Sing. At Theatretrain we teach our kids how to dance, act and sing in performing arts classes every Saturday. We are a weekend Theatre Training Centre for young people in Solihull and the surrounding areas. We teach Dance, singing and drama to children from 3-18 years. DANCE SING AND ACT IN STATE OF THE ART PERFORMING ARTS FACILITIES AT WEST HERTS COLLEGE Theatretrain Watford offers professional training in the performing arts for young people aged 6 to 18 years old where you learn not only how to sing, dance and act, but also how to use these skills while performing. We give all pupils the chance to perform in annual show. Previous performances have taken place in various venues from small local theatres to theatres in the West End, The Royal Albert Hall and The O2! Each of us is unique, and enjoyment matters most, so as well as teaching technique our classes encourage individual expression. Lessons with Theatretrain will give your child the opportunity to learn, have fun and work with a like minded group of people, helping to build confidence and give them a full life experience. Our sessions run every Saturday from 10am to 1pm during term times (including half term) using state of the art performing arts facilities at West Herts College, Watford. Please contact Helen at watford@theatretrain.co.uk for more information and/or a prospectus. A performing arts school providing quality theatre training for children aged 4-16 in all aspects of musical theatre. Act, Sing, Dance, Perform. FREE TASTER SESSION! Welcome to..... "Through the Wardrobe" https://www.sites.google.com/site/ttwardrobe/?pageDeleted=%2Fnews We are a Buckinghamshire based children's theatre company that takes children on a journey into the magical world of Imagination Drama and Dance. We use our teaching and performing skills to encourage children, aged between 5 and 16 years, in all aspects of the theatre. we are dedicated to the development of all our students helping them to reach their full potential. We use drama techniques to build confidence and acting ability and dance and movement to improve co-ordination, strength and stamina. Each term has a different theme and twice a year parents and friends are invited along to an informal production to view their work. Shows are staged every 12 - 18 months where each student puts into practice their class techniques to attain a high performance level and experience a 'company bond' Students are encouraged to take nationally recognised LAMDA drama exams and to date we have a 100% pass rate. Our students have performed at the Royal Albert Hall, in the West End, the Theatre Royal in Windsor, made several television appearances, including Downton Abbey, and were involved in the making of five Harry Potter Films. So let your child come "Through the Wardrobe" and who knows where their imagination will take them. Tillie’s tinies is a brand new drama class for ages 3-5! We will be singing, dancing, acting, using our imaginations and making simple props to help us tell a story Each half term will have a theme, with a little show back to parents on the week before half term. For over 45 years, the Tisch School of the Arts has drawn on the vast resources of New York City and New York University to create an extraordinary training ground for artists, scholars of the arts, and creative entrepreneurs. A Little bit about Triple Edge… Triple Edge is run by Australian Freelance Artistic Educator/Practitioner Mai-Lin Hagiwara. She provides a combination class of Singing, Dancing and Acting providing students with the opportunity to train and gain skills as a Triple Threat Performer. These classes aim on boosting the confidence of the performer and a space to explore and ignite one's artistic creativity. African Drumming and Storytelling are the Foundations of our Heritage and Practice. We have embraced and trained with skills from the East and Western philosophies to be authentic, Practical and Fun. We Begin to explore the skills technique on how to create Performance using the creative mediums of Dance, Drama, Music to bring magic into our being. Everybody is special and our aim is to bring the best out in you. 7-16 Years, 28th July - 1st August, 10am - 3pm. You don't need to have experience or be an extrovert to join us! All you need is to love performing, acting out characters, singing, dancing and using your imagination. Our summer school will introduce you to all the skills you need to perform. Over five days, you will have daily classes in Acting, Singing, Movement, Musical Theatre and Theatre Making. Working on a variety of themes, you will participate in exercises and games to develop your acting and singing skills: the emphasis being very much on having fun. And, as well as all this, your 'best bits' will be captured for you to show all your fans!! All for £100 for the entire week! Tutoring by fully qualified performing arts teachers, CRB checked. Sibling discounts and daily rates available. Victory-Land Theatre School are proud to be the longest running youth theatre school in Portsmouth & Southsea. Established in 1982, we work with children and young people aged 4-19 years to provide a fun environment in which to teach our students theatre skills and encourage individual growth and life skills. We are a performance based company providing opportunities to showcase talent in a variety of locations throughout the year. Walk Tall is award winning for drama. Affordable classes for primary,teens and adults. Regular opportunities to perform. Also professional actor training with associated touring Repertory Company and agency. Saturday Performing Arts Classes for children aged 4 - 18 years in Hertfordshire - 4 locations. The South West's Ultimate Theatrical Summer School for anyone aged 7-18 years old. Taught by top West End Performers & Choreographers from shows including Wicked, Mamma Mia & The Lion King culminating in a spectacular showcase on stage in a top theatre. West End Wendies in Bedford, the Theatre School by West End Performers! Learn from those who lived their dream. How the voice works. Dance/Movement. Vocal warm up. Stage Presence. Working in a team. Drama. Voice projection. Singing. Stage directions. Co-ordination. The Semingtones - Ladies Choir. Musical production. Adult Tap Dancing. Melksham Glee Club. Sing. Dance. Act. Private tuition available. Fun. Friends. Confidence. Life skills. We are an original drama, role play and story telling class for babies and children from 6 months - 5 years. Taught by West End Performers this class builds confidence, key skills and does it in an exciting and inspiring way. We use puppets, characters, costumes, props and more to tell our stories and we include the children in the story telling, making them part of our performance. We also offer private teaching, holiday workshops and parties, all taught by Genuine West End Performers! We offer a FREE trial class! Theatretrain offer expert tuition in the performing arts for children and teenagers in Wrexham. Professionally run Easter and summer drama weeks, for ages 3-18, and Saturday morning drama/dance classes for 6-18s, boys and girls. Run and directed by LAMDA-trained head of drama at St Augustine's School Faith Murphy. Offers an opportunity to create age-appropriate imaginative and original work that's fun and inspiring. Also helpful for GCSE and A-level drama students. Established 2009. Build confidence and make friends with Musical Theatre classes in Caversham, Friday. YouthPOD is an amateur youth theatre group for 6 to 16 year olds, based in daventry. We cover drama, acting, singing, dancing and a wide variety of other theatrical aspects from script writing, stage directing and stage make-up to voice control, microphone work, costumes and back stage. Zazz offers a full training in Drama, Singing, Musical Theatre, Stage School and All Dance Subjects! Highly qualified staff Performances at Disney Land Paris, Cruise Ships, London's West End, Royal Albert Hall. All ages from Children to Adult. Zumba Fitness® is the only Latin-inspired dance-fitness, workout program that blends red-hot international music, created by Grammy Award-winning producers, and contagious steps to form a "fitness-party" that is downright addictive.